Host Rev. Charles Henrickson and guests Rev. Warren Woerth, Rev. Steve Riordan and Rev. Jonathan Fisk discuss An Exhortation to Confession in the Large Catechism. Charles Henrickson is pastor of St. Matthew-Bonne Terre, Missouri. Steve Riordan is pastor of Saint Pauls Lutheran Church in Wildwood, MO. Warren Woerth is pastor of Good Shepherd Lutheran Church in Arnold, MO. 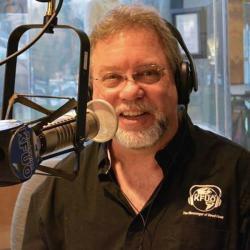 Jonathan Fisk is host for KFUO programming. Thy Strong Word - Matthew 2: "The Visit of the Wise Men"
His Time - Christian Friends of New Americans Trivia Night, Witness Wednesday, "The Parable of the Ten Virgins"